For National Poetry Day, we have produced poetry lesson plans for primary and secondary schools, both lessons build on pupils' experiences to create poetry. The National Poetry Day lesson plan resources provide a set of activities that draw on experiences pupils have had or visits they have made to memorable places. They are given an example poem and asked to create their own in a similar style, then perform it to their colleagues. The activities are clearly linked to the national curriculum for Key Stage 1, 2 and 3. They support learning and developing confidence in writing, storytelling, working together and performance. For more poetry resources visit the National Poetry Day website. 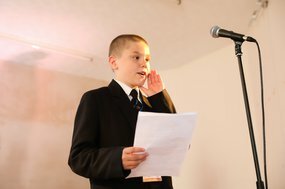 To support National Poetry Day on 4 October 2018, we were commissioned to conduct the first ever national survey of children and young people’s views on poetry in England.